“…swallows and swifts are by no means safe. To see a Hobby whizz straight down from perhaps 1,000 ft., wings almost folded alongside the streamlined body, and grab a swallow in passing so that you can hear the impact 100 yards away is really an experience. The rush of air as the Hobby shoots through it like a meteor is almost frightening…birds often show their deadly fear of their terrible enemy by dashing for cover even when the hobbies high up in the air start a harmless game among themselves by diving at each other. 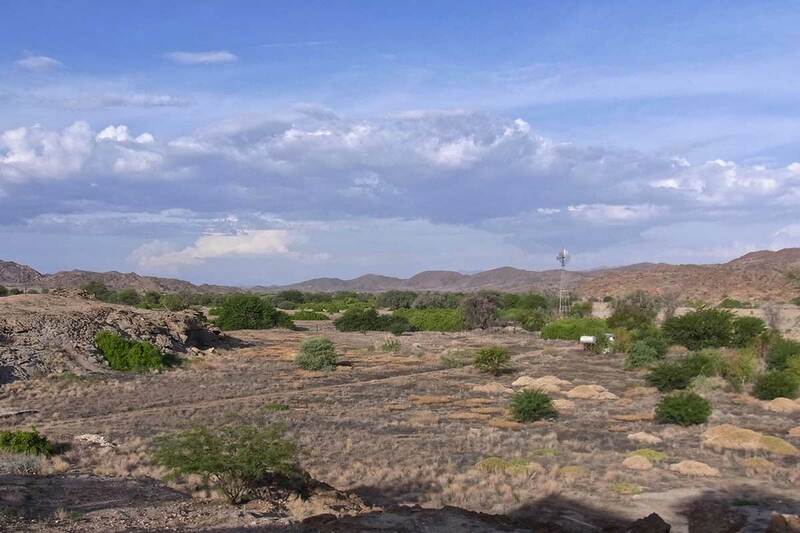 ABOVE: View along the margins of the Swakop River; the actual riverbed is visible behind the trees. After a long, very dry winter in Namibia, there had been several storms in the weeks before our stay. Termite alates were erupting from their underground nests en masse, attracting huge numbers of swifts. These were mainly Eurasian/Common Swifts Apus apus but they were also joined by the near-endemic Bradfield’s Swift A. bradfieldi. Many dozens of Yellow-billed Kites Milvus (migrans) aegyptius and other different raptor species also joined in the feast. On three occasions, we could see the whirling clouds of swifts circling and hunting over the ground, from close quarters, with their noisy wing-beats sounding like traffic. After about two hours the swift flocks dispersed again, and the raptors went perching in nearby trees. One afternoon we briefly observed two darkish falconids flying around the house where countless dragonflies were cruising over the cistern basin, where the water is held for irrigation of the small fields. At the time we could not identify the falcons by the short glance they offered us, but we realized that they were not the usual Lanner Falcon Falco biarmicus or a rarer Peregrine Falco peregrinus, judging by their swift movements and smaller size. On the day following this observation the identity of our mystery falcons was confirmed when an Eurasian Hobby was caught in a 16 mm mesh mist-net, set on the edge of the waterbody mentioned above. 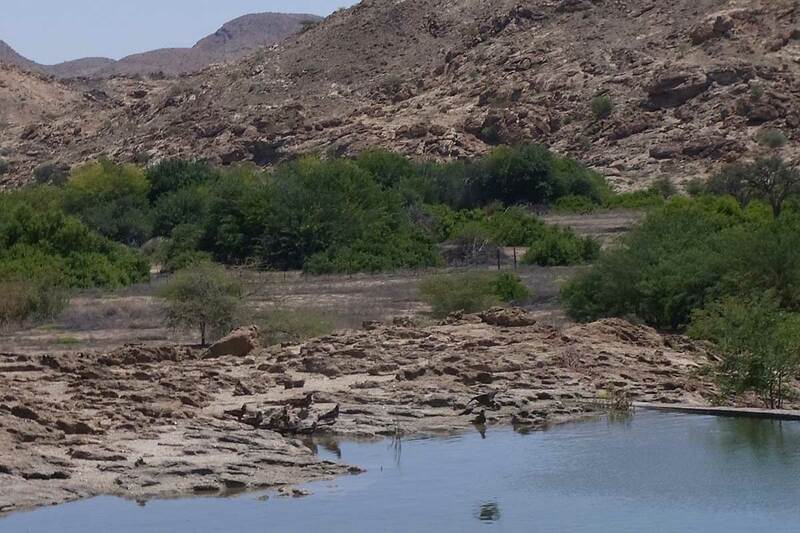 It had apparently crossed the water towards small Acacias and Prosopis trees. The bird was caught at 8:30 in the morning, more than two hours after sunrise (6:05 am). It was in the second lowest of the four shelves of the net. ABOVE: Yellow-billed Kites gathered on the dam´s edge for drinking and bathing. ABOVE: Retention dam for irrigation. 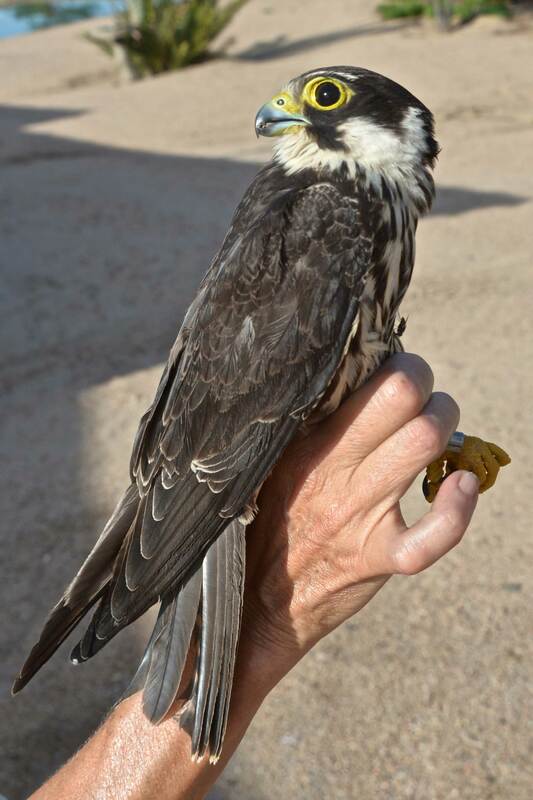 The opportunity to examine an Eurasian Hobby in the hand is not an everyday occurrence. What can we learn from this bird? Based on its plumage features, this individual can be aged as as a second-year bird. Note that the flight feathers and coverts have striking buffy edges, the tail feathers end in buffy tips, the mantle feathers appear scalloped, and the thigh feathering is pale (a distinct darker rufous in adults). The bird had an already fully adult head pattern which indicates that it had moulted out of his juvenile plumage. No primary moult was recorded, but P1 to P6 were more abraded than P7 to P10 which appeared fresh. The size and weight measurements of the bird were not conclusive for sexing, being in the range of overlap of males and females. In many raptor species there is a notable size difference between the sexes; in the Eurasian Hobby, females are only slightly larger than males, while wing and tail measure average about 10% less in juvenile birds. 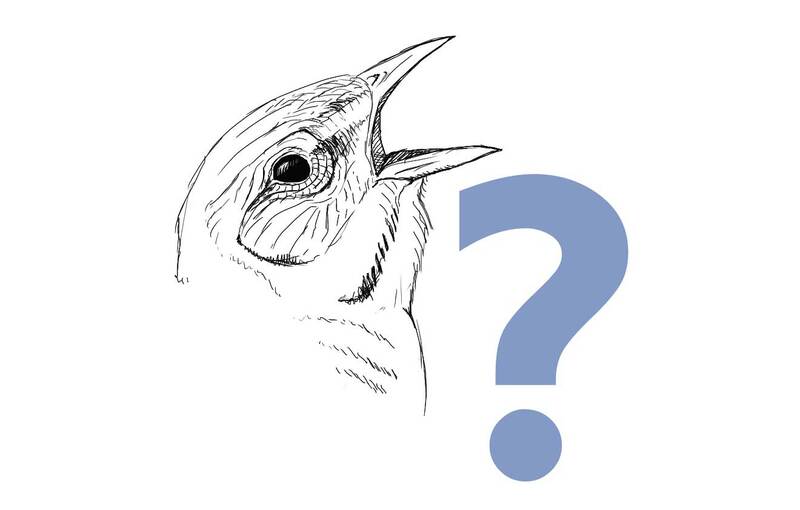 Measurements of wing and beak in juveniles are smaller in comparison to adults, but those of the tarsus slightly bigger (Glutz von Blotzheim et al. 1971). The bird weighed 195 g, well in the ‘normal’ range of the species. Shortly after the monumental effort of migration, birds can be considerably lighter; this is demonstrated by the large ranges in the mass values: males weigh between 131 and 232 grams, with an average of about 200 g; females weigh anything from 141 to 340 g, with the average higher at around 225 g.
ABOVE: This second year bird shows the distinctive features of Eurasian Hobbies: the black mask on white face, a white collar, reddish brown thighs, and broad black streaks flowing down the white breast, while the upperparts are greyish. All photos in this article were taken on the day of ringing, namely 23 December 2013. Click the image for a larger version. Photo by Ursula Franke-Bryson. The wing length of the bird was 260 mm, matching recorded measures for both males (237 to 272 mm, average around 256 mm), and females (248 to 282 mm, average 268 mm). Its tail was 134 mm in length (male 116-(130)-143 mm; female 125-(134)-145 mm). The head measured 46,1 mm, and the culmen from beak tip to featherline 12,8 mm. Roberts (Hockey 2005) provides culmen lengths for European males of 12,6 mm (11,7 – 13,4) and for females 14 mm (12,2 – 15,1). The tarsus of 34,8 mm matches measurements of males of 32 to 35,5 mm with an average of about 33,5 mm and females with 33 to 37,5 mm, also with an average of around 35 mm. (Measurements from Glutz von Blotzheim et al. 1971; Brown et al. 1982; Del Hoyo et al. 1994; Hockey et al. 2005; Kemp and Kemp 1998; Mebs and Schmidt 2006; Fiuczynski and Sömmer 2011). In Southern Africa ringed and retrapped birds are rare. At the time of our catch, only 7 Eurasian Hobbies were listed in the database of SAFRING for southern Africa, plus one retrap from Finland. Another bird ringed in Finland as a nestling was found electrocuted seven months later in South Africa.(D. Paijman, SAFRING, pers. comm.) One Dutch bird was retrapped in Zimbabwe (Meyburg 2013). The bird described in the article was the second bird ringed in Namibia. European countries, where Hobbies can be ringed at the nesting sites, show much higher numbers: in ten European countries 5,720 birds have been ringed in the last 90 years, between 1909 and 1998, of which more than 1,000 were banded in the area around Berlin, Germany. The age of the oldest birds retrapped was 10 years (Orta and Kirwan 2014) and in Berlin up to 15 years after being ringed (Fiuczinsky & Sömmer 2011). 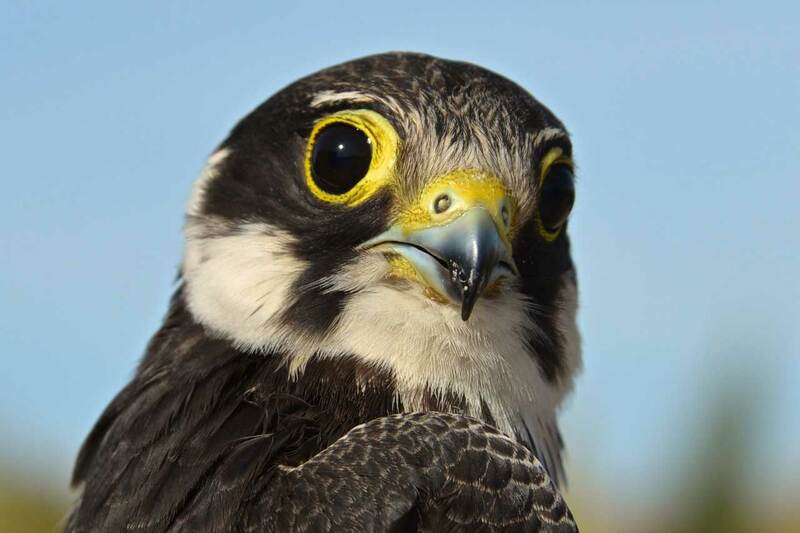 ABOVE: A close up shot of the face of the handsome young Eurasian Hobby. What an incredible bird! Click the image for a larger version. Photo by Ursula Franke-Bryson. ABOVE: Underwing and breast markings of Eurasian Hobby. Note the pale thighs with dark broad streaks. For very detailed identification and sexing in all age-classes, see the excellent pdf documents by Blasco-Zumeta and Heinze. Click the image for a larger version. Photo by Ursula Franke-Bryson. ABOVE: Upperwing of Eurasian Hobby. The buffy feather edges are clearly visible on the fresh primaries P7 to P10, as well as on the tail, the primary and secondary coverts and on the alula. Click the image for a larger version. Photo by Ursula Franke-Bryson. The breeding range of the Eurasian Hobby includes a huge area of about 25 – 30 million square km. In the northern hemisphere summer, the species can be found across the whole Eurasian landmass from the Atlantic in western Europe eastwards through Asia to the Pacific, including the Russian Kamchatka Peninsula and northern Japan. Its breeding range extends from Scandinavia in the north to the Mediterranean Sea and northern Africa in the south. Variation within the Eurasian Hobby is largely clinal, but birds from the eastern part of the range in China (and possibly elsewhere) are differentiated as the subspecies Falco subbuteo streichii (Ferguson-Lees and Christie 2001), which is resident or at most, a short distance migrant. There are three other hobbies in the world, namely the African Hobby F. cuvierii, the Oriental Hobby F. severus, and the Australian Hobby F. longipennis. After breeding, hobbies undertake an impressive migration to their non-breeding grounds: western and central populations ‘winter’ mainly in central and southern Africa, while the far eastern populations migrate to southern and south eastern Asia, mainly southern China and India (Brazil 2009). ABOVE: Breeding and wintering grounds of the Eurasian Hobby (Handbook of the Birds of the World). The breeding range is indicated in YELLOW, while the non-breeding range is shown in BLUE. The small area where the species is resident in China is shown in GREEN. The wintering grounds in India are not shown on the map (but see Naoroji 2006 or Brazil 2009). Compared to many other Eurasian raptors, hobbies occur only in small numbers and low population densities. Population estimates, based on actual observations or calculations, fluctuate depending on our growing knowledge acquired through research, but also on the way of calculating. In 1982 the worldwide population of the species was considered to be not more than 30,000 – 60,000 pairs (Cade 1982). But more recent documentation of breeding birds, and an extrapolation therefrom, especially for the Russian territories, now suggests that the total global population is not more than 200,000 pairs (Ferguson-Lees and Christies 2001). The population seems to have been overall stable over the last decades, although local fluctuations can be considerable (Orta and Kirwan 2014). Estimates of the number breeding in the western Palearctic suggest a maximum of about 95,000 pairs. Of these, 88,000 pairs are found in Europe (Mebs and Schmidt 2006). Other estimates are even lower (Forsman 1999): for example, one 55,000 – 75,000 pairs in the western Palearctic, of which 50% are thought to occur in Russia, and the remainder in Europe. My home country, Germany, hosts only about 2,900 breeding pairs. Common Buzzard Buteo buteo numbers, in comparison, are estimated at around 100,000 individuals in Germany alone, reaching a million in the western Palearctic (BirdLife International). A very exciting new research tool that is emerging, is our ability to track birds by satellite or geolocator. 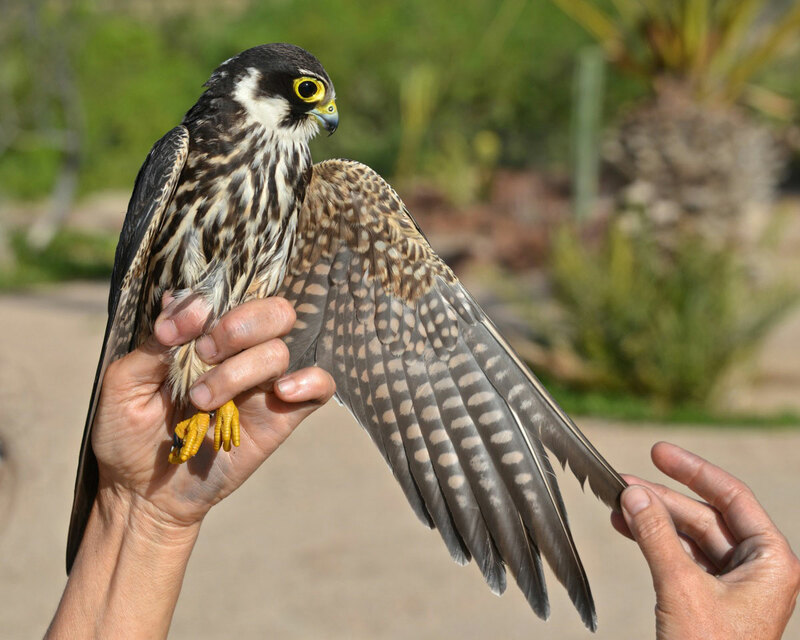 In the case of the Eurasian Hobby, the first four birds that pioneered this tremendous technology were tracked carefully by GPS while on their migratory journeys in 2005 – 2007. Their routes are depicted on the map at right. These birds cruised all the way from from Sweden to Angola and Zambia. Out of the 61 days that their journey on the way to their wintering quarters took, 39 days were spent travelling. Between the birds, the average distance traversed was 9,200 km. The mean travel speed in Europe was a relatively leisurely 188 km/day. However, for the four days it took the birds to cross the inhospitable Sahara, their speed was more than doubled (391 km/day). The passing over tropical Africa was performed at a speed of 200 km/day (Strandberg et al. 2009b). Hobbies fly between 7,9 to 14,6 hours daily, moving a maximum of about 1,250 km in just 2 days, with some migration at night (Orta and Kirwan 2014). The falcons crossed the Mediterranean Sea on a broad front, unlike soaring raptors like eagles and buzzards that concentrate at migration bottlenecks because of their dependence on thermals; consequently they show up in high numbers over Gibraltar in the west and along the eastern coast of the Mediterranean where the difference in temperature between land an sea allows them to take advantage of the raising air. ABOVE: Migration routes of four different hobbies (from Strandberg et al. 2009a) showing the crossing of the Mediterranean Sea south of France and Italy, the fast crossing of the Sahara, the latitudinal spreading in western Africa, funneling through to cross the rainforest area and movements in the wintering area in Angola, Zambia and northern Namibia and Botswana. Travelling south on individual routes that spread out from each other more than 2,000 km north of the equator, all the tracked Eurasian Hobbies converged to cross the evergreen tropical rainforest in the Congo on tracks not further apart than 70 km. Here the extension of the rainforest is shortest from north and south. For more details on travel schedules, migration routes, the rainforest as a possible ecological barrier and the discussion of the findings, see Strandberg et al. (2009a). Similar migration routes were confirmed in a later study (Meyburg et al. 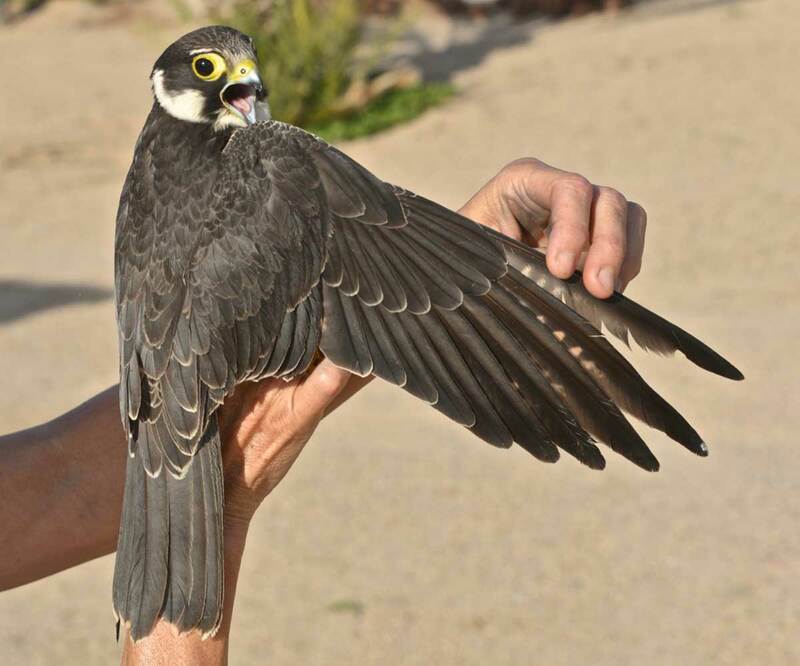 2011), which added data that Eurasian Hobbies, which spend the winter in Angola, undertake huge latitudinal flights. One bird flew from Angola through Zambia, Zimbabwe and Botswana back to Namibia in less than three weeks, while the movement in Angola alone covered an area of about 116 000 square km, an area three times the size of Switzerland (Meyburg 2013). Hobbies are true globetrotters, and not averse to a bit of exploring. In addition to their normal breeding, non-breeding and migrational range, there are many documented occurrences of vagrancy in areas far beyond their ususal limits. Some birds apparently disperse over all oceans and reach islands far off the north and west of Europe and even islands off Alaska. The species has also been recorded in the Southern Seas on islands in the Indian Ocean, off Indonesia, Australia and on tropical Pacific islands. Two records are mentioned for the USA and two for Canada (in both countries, from the east as well in the west; Orta and Kirwan 2014; Glutz von Blotzheim et al. 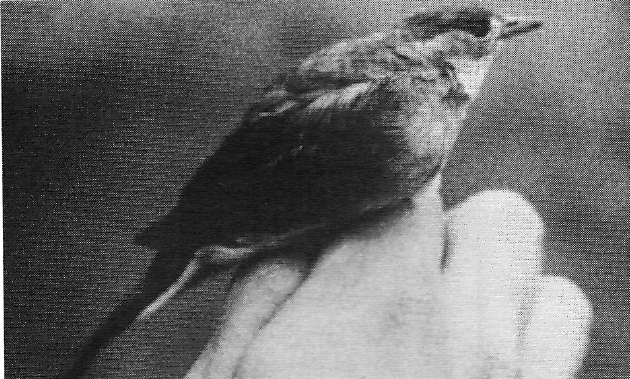 1971) and a review in the Encyclopedia of Life shows even more sightings and collected specimens on the North American continent (see their website in the literature list). This raises the question of whether eastern populations of Eurasian Hobbies wander across the Indian Ocean, from India to East Africa for the non-breeding season, like the related Amur Falcons Falco amurensis do in great numbers during migration. An interesting parallel between these two species, is that they both feed on species of dragonfly called the Globe Skimmer Pantala flavescens. This large dragonfly, in a transgenerational cycle, undertakes a migration from India to Africa and back, as described further below. While Ferguson-Lees (2001) considers a Indian Ocean crossing by the Eurasian Hobby to be a possibility, this seems unlikely considering the low numbers of observation records. For example, the Eurasian Hobby is regarded as a scarce winter visitor to the Maldives (Naoroji 2006), while for the Seychelles overall only 28 records have been recognized (Safford and Hawkins 2013). Bijlsma (pers. comm.) pointed out that there are no records of hobbies fattening up in India before crossing the Indian Ocean (accumulating fat reserves to act as fuel for long flights during their trans-oceanic migration), unlike Amur Falcons. I bless the rains down in Africa . What do hobbies do on their African summer holiday? Eurasian Hobbies mainly arrive in Africa from late October to November, and in the southern parts of their range as late as December. Such a late arrival date is probably scheduled in order to allow time for the spring rains to promote the development of abundant vegetation – and consequently an abundance of insects. Departure back towards the breeding grounds starts from the end of February, and the northerly breeding grounds are reached in April and May. In ten years of data collection for the South African Bird Atlas Project 1 (SABAP 1) from 1987 to 1997, a total of only 1,384 Eurasian Hobbies were recorded in the South Africa, Namibia, Zimbabwe and Botswana, corresponding to 12,1% of southern Africa’s quarter degree grid cells. This species is considered generally uncommon here, and is most frequently reported from northern Namibia and Botswana, Zimbabwe, the northern and eastern ‘Transvaal’ (nowadays Limpopo and Mpumalanga, respectively) and Swaziland. In well-atlased areas it has been observed sporadically along the eastern and southern coasts, and even reaching Cape Town on occasion (Mendelsohn in Harrison et al. 1997). For retrap data and tracking migration movements in individual birds in Europe see Glutz von Blotzheim et al. (1971). ABOVE: Distribution map of Eurasian Hobby in southern Africa based on SABAP 1 data. The species is clearly more common in the northern parts of the subregion, and especially the woodland and savanna belt of northern Namibia, Botswana and Zimbabwe. 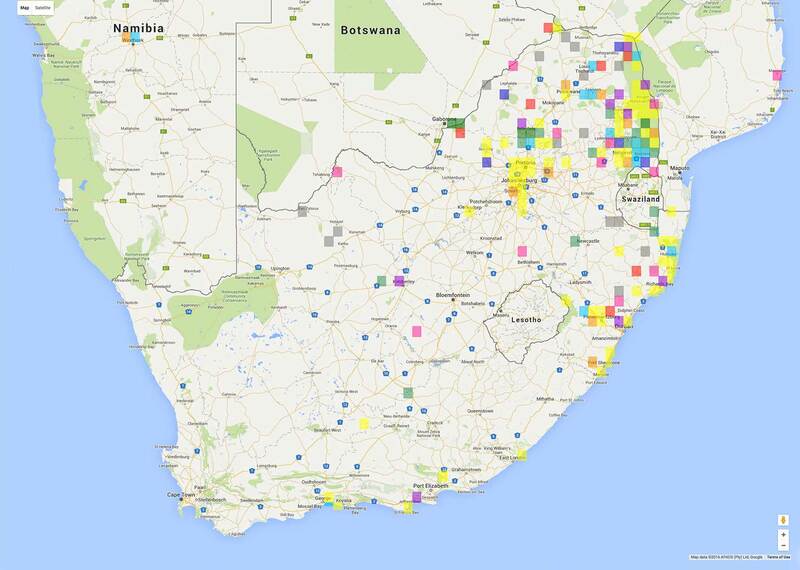 It is scarce but widespread in South Africa, as indicated by the yellow squares. Source: SABAP2 website. 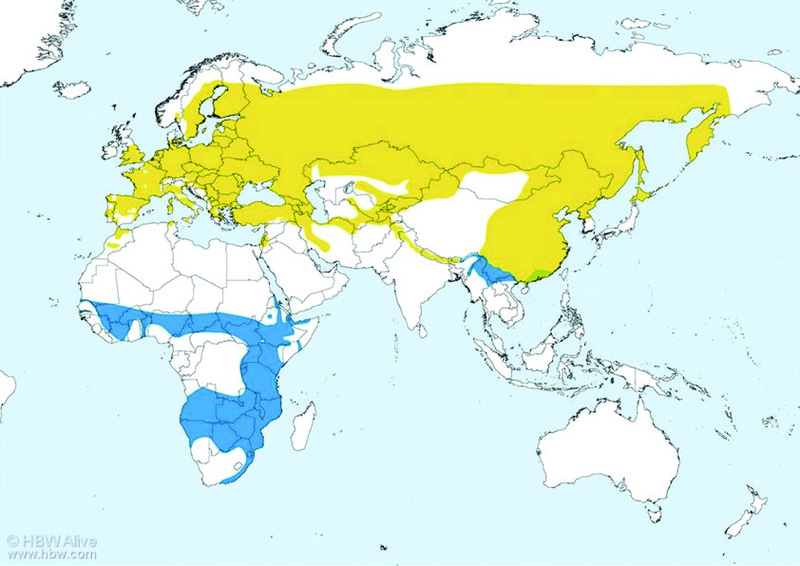 ABOVE: SABAP2 distribution map of the Eurasian Hobby in southern Africa (note that coverage for countries neighbouring South Africa is incomplete). The apparent abundance around urban centres such as Gauteng, Durban and Port Elizabeth is probably just a reflection of the fact that there are more birders on the lookout in these areas. The Kruger National Park, running along South Africa’s north-east border is an important area for this species (as for many, many other raptors). The approximate borders of the park can almost be deduced by the density of hobby records. Note the scattered records from dry interior of South Africa. Source: SABAP2 website. The great diversity of prey items taken by the Eurasian Hobby demonstrates the high adaptability of this species to available food sources. The diet consists of birds, terrestrial mammals (up to the size of a young rabbit), bats, insects, including dragonflies, beetles, moths, grasshoppers, locusts, crickets and ants, and some reptiles, depending on availability and the time in the life cycle (Orta and Kirwan 2014). Prey is mainly caught in flight, but also hunted from a perch, or even taken on the ground. Prey will be consumed on the perch or, in smaller prey items such as flying insects, it may be eaten on the wing. Some individuals specialize in certain prey types, especially when feeding young. Kleptoparasitism has been observed, with Hobbies taking prey from other raptors like Rock Kestrel Falco tinnunculus, Sparrowhawk Accipiter nisus, Red-footed Falcon Falco vespertinus and Red Kite Milvus milvus and Black Kite Milvus migrans in flight (Fiuczynski and Sömmer 2011; Tinbergen 1958, p. 87-88). Conversely, hobbies themselves may also be robbed by other birds of prey. In Europe at least 70 bird species have been recorded as prey of the Hobby (Glutz von Blotzheim et al. 1971). While raising its young, fledglings of other bird species are abundant, and these serve as food for the hobby’s offspring. Depending on availability, birds like swallows, martins and swifts, as well as less aerial species of open areas, e.g. sparrows, finches, starlings, larks and pipits are hunted. The main prey size is between 8 and 65 grams, with a range from small passerines of 6,5 gram up to lapwings or doves exceeding 200 gram (Bijlsma1980 in Fiuczynski and Sömmer 2011, p. 232 f.). A vagrant to Mahé, Seychelles was shot while feeding on a White Tern Gygis alba (Moreau 1938, p. 9). After rains hobbies have been observed taking advantage when swifts are handicapped by flying with wet plumage (Orta and Kirwan 2014). Birds with eye-catching variation in shape and colour easily fall prey to the Eurasian Hobby. In well-studied breeding hobbies in the city of Berlin half of the prey consisted of House and Tree Sparrows, followed by different swallow and martin species. Astonishingly 9,4% of the food items were Australian Budgerigar Melopsittacus undulatus, escapees from cages (Fiuczynski and Sömmer 2011, p. 230), which were also reported as unexpected prey even in a large woodland areas in The Netherlands (Bijlsma, pers. comm.). One study shows that out of 215 House Sparrows 8,4% were partially leucistic (Bijlsma 1980 in Fiuczynski and Sömmer 2011, p. 236). Many South African bird books describe the Eurasian Hobby as a hunter of dusk and dawn. Sighting the basic literature, it becomes clear that this assumption all funnels back to two articles on feeding behaviour of this species, one on the influence of raptors on bats, which are rarely diurnal (Fenton et al. 1994), and one on hobbies in the city of Stellenbosch, where the researcher could observe the birds only early morning before leaving and at nightfall coming back to the roost in town. Some bird nesting colonies in town were used as a food source at dawn and dusk, as well as occasional bats (Pepler 1993). The role of the scarcely observed diurnal hunting activity has thus largely been left out. The hobbies spent the day hunting and resting in the mountainous Fynbos, where their prey items included sunbirds, swallows, dragonflies, butterflies, even a flying ant and one unidentified nestling snatched out of the nest to be eaten on the wing. It seems that the diet of Eurasian Hobbies on their African wintering grounds is composed in major parts of alates and insects which emerge in huge numbers after the rains (Orta and Kirwan 2014). Like other species, hobbies follow the insects being pushed in front of the rain clouds and sucked in by low pressure, and feed on alates emerging after rainfall. Travelling with the rain, individual Eurasian Hobbies can be seen in flocks of Red-footed Falcons and their eastern sister species, the Amur Falcon (M. Mills, pers. comm.). In northern Namibia, Hobby Falcons have been seen in the 70s in congregations of ‘dozens’ together with great numbers of raptors feeding on alates (Steve Braine, pers. comm.). And how much do they actually eat? The hunting strategy, feeding frequency and activity maxima are determined by the amount of food needed per day and depends not only on the kind of prey animals available, but also on individual preferences of the birds (Tinbergen 1958). Feeding times of up to 13 hours per day have been observed (Haverschmidt 1928; Schuyl et al. 1936). The daily food requirement is considered to be 15 – 17% (Bijlsma, pers. comm.) or up to 30 % of the body mass (Lit. in Fenton et al. 1994; Brown et al. 1982). An adult Eurasian Hobby would thus need 37,5 to 75 g of food per day. Two birds or bats of about 20 g would cover the minimum, while the same quantity by feeding on insects would require much more hunting time. 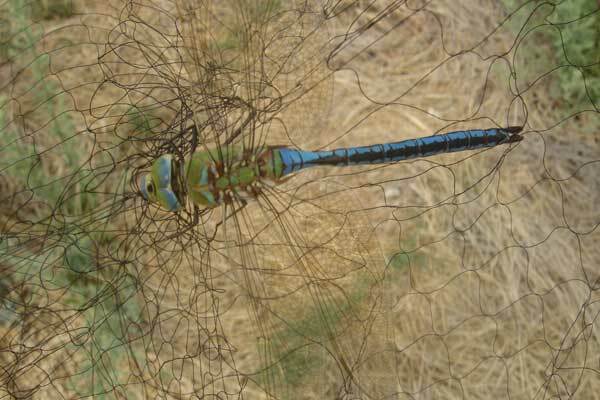 While ringing in Namibia, we found numerous dragonflies as bycatch in our mist-nets on a daily basis. These were mainly the Globe Skimmer Pantala flavescens, also called Pantala, Globe Wanderer or Wandering Glider; as well as some Blue Emperors Anax imperator. The 5 cm long Globe Skimmer is a spectacular species, and is well worth googling. Better yet, check out this astonishing TEDtalk by Charles Anderson. Its life cycle story starts when, incredibly, it crosses the Indian Ocean during the rainy season with the monsoon shifts from India. It then breeds in equatorial East Africa (October/November). The next (second generation) moves into southern Africa in December to February, while the newly hatched third generation returns in a northern direction to East Africa. Finally, the fourth generation moves with the (now east-blowing) monsoon winds back to India in June/July. In this circuit across the Indian Ocean, four generations of Pantala flavescens cover a distance of 14 000 – 18 000 km (Anderson 2009). A paper on stable isotopes even points out the probability of this dragonfly species coming from northern India, possibly from north of the Himalaya, which would prolong the circuit to a still unknown distance (Hobson et al. 2012). This migration pattern is possible through the extraordinary short larval life of Pantala flavescens of 38 – 65 days (Suhling et al. 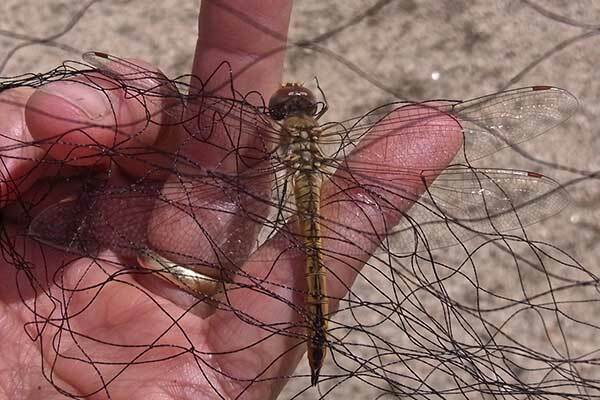 2004), which allows this dragonfly species to breed in ephemeral freshwater pools after rainfall (Silsby 2001). Using all surface water for short term breeding, in one year, three or even four generations can be produced (Johansson and Suhling 2004). 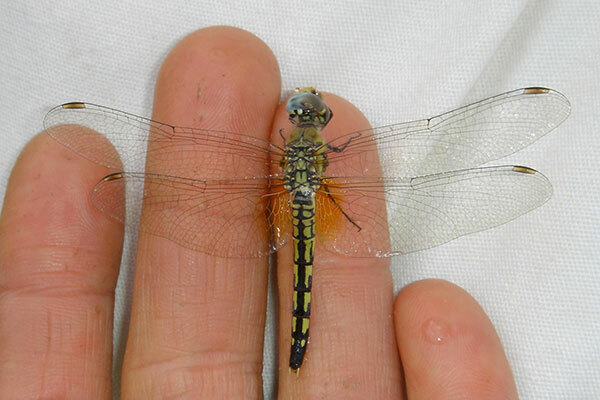 Most dragonflies live the greatest proportion of their lives as larvae underwater, where they spend months or even up to two years, before they turn into aerial insects. In this state they survive only 6-9 weeks, or at most a few months as airborne insects. The Globe Skimmer is the dragonfly with greatest range worldwide. Incredibly, it has been recorded at an altitude of about 6,200 m in the Himalyas. Occurring even on small islands very distant from the mainland, it was one of the first species to resettle on the Bikini Atoll after the destruction by nuclear tests (Silsby 2001). ABOVE: Large dragonflies are often accidentally caught in mist-nets meant to catch birds. This is Globe Skimmer, Pantala flavescens, which is presumably a very important prey item for Eurasian Hobbies. ABOVE: The spectacular Blue Emperor Anax imperator is one of our largest and most impressive dragonflies. This is the same species that is pictured right at the top of this page. 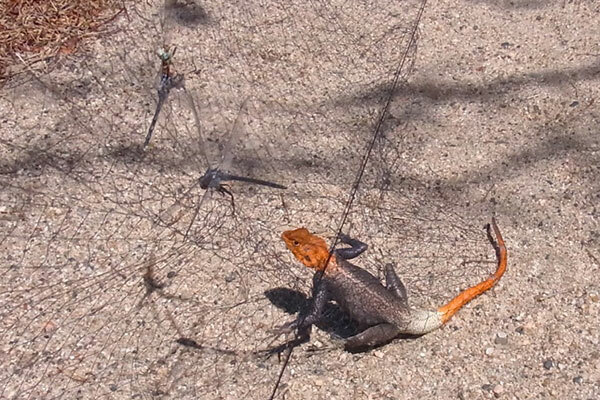 ABOVE: This male Namibian Rock Agama, Agama planiceps, thought that trapped dragonflies would make an easy meal, but got into a bit of trouble itself! If you enjoyed this article, I recommended these other interesting reports by Ursula Franke-Bryson. These papers were published in the online journal Ornithological Observations, which is always worth a read. The journal also allows you to download and save your favourite articles in pdf format. Click on the links below to visit ‘OO’ – Faansie Peacock. I am grateful for the support of Rob Bijlsma in providing me with a continuous flow of information; to Hennie de Klerk for the quick identification of Pantala; to Pascal Eckhoff from the Museum for Natural History of the Humboldt University, Berlin; and to Dane Paijmans for kindly supplying the requested data from SAFRING, Avian Demographic Unit, University of Cape Town. In addition, Steve Braine, Michael Mills and Faansie Peacock are thanked for their comments and for encouragement. Anderson RC 2009a. Dragonflies that cross oceans. TED India. Available here. Anderson RC 2009b. Do dragonflies migrate across the western Indian Ocean? Journal of Tropical Ecology, 25: 347–358. DOI: 10.1017/S0266467409006087. Bijlsma R 1980. De Boomvalk. Kosmos. Amsterdam and Antwerpen. BirdLife International 2015. Species factsheet: Falco subbuteo. Available here. Blasco-Zumeta J, Heinze G-M 2014. Factsheet Hobby Falco subbuteo. Available here. Brazil M 2009. Birds of East Asia: China, Taiwan, Korea, Japan, and Russia. Princeton Field Guides. Princeton University Press. Brown LH 1976. British Birds of Prey. Collins, New Naturalist Series. London. Brown LH, Amadon D 1968. Eagles, Hawks and Falcons of the World. Country Life Books. Vol. 2. Feltham. Brown LH, Urban EK, Newmann K (eds) 1982. The Birds of Africa. Vol. I. Academic Press, London: 465-469. Cade TJ 1982. The Falcons of the World. Collins, London & Cornell University Press, Ithaca, NY. Chapman A. 1999. The Hobby. Arlequin Press, Essex. Crossley R, Couzens D 2014. The Crossley ID Guide Britain & Ireland, Crossley Books, Princeton University Press. Del Hoyo J, Elliott A, Sargantal J (eds) 1994. Handbook of the Birds of the World. Vol. 2. New World Vultures to Guineafowl. Lynx Edicions, Barcelona: 268. Dowsett RJ, Aspinwall DR, Dowsett-Lemaire F 2008. The birds of Zambia. An atlas and handbook: 146. Tauraco Press and Aves, Liège. Encyclopedia of Life. Global Biodiversity Information Facility Database. Distribution map of Falco subbuteo: Observations, specimens and ringing records. Available here. Fenton MB, Rautenbach IL, Smith SE, Swanepoel CM, Grosell J, van Jaarsveld J 1994. Raptors and Bats: Threats and Opportunities. Animal Behaviour 48: 9-18. Ferguson-Lees J, Christie D 2005. Raptors of the World. A Field Guide. 2nd ed. Christopher Helm, London: 290-291. Fiuczynski KD, Sömmer P 2011. Der Baumfalke Falco subbuteo. 5th ed. Neue Brehm-Bücherei Bd. 575, Westarp Wissenschaften, Hohenwarsleben. Forsman D 1999. The Raptors of Europe and the Middle East. A Handbook for Field Identification. Christopher Helm, London: 505-514. Glutz von Blotzheim U, Bauer KM, Bezzel E 1971. Handbuch der Vögel Mitteleuropas, Bd. 4, Falconiformes, Akademische Verlagsgesellschaft, Frankfurt: 805-824. Handbook of the Birds of the World Alive. Lynx Edicions, Barcelona. Available here. Hobson KA, Anderson RC, Soto DX, Wassenaar LI 2012. Isotopic Evidence that Dragonflies (Pantala flavescens) migrating through the Maledives come from the Northern Indian Subcontinent. Available from: PLos ONE 7(12): e5294.doi:10.1371/journal.pone.0052594. Hockey PAR, Dean WRJ, Ryan PG (eds) 2005. Roberts Birds of Southern Africa. 7th ed. 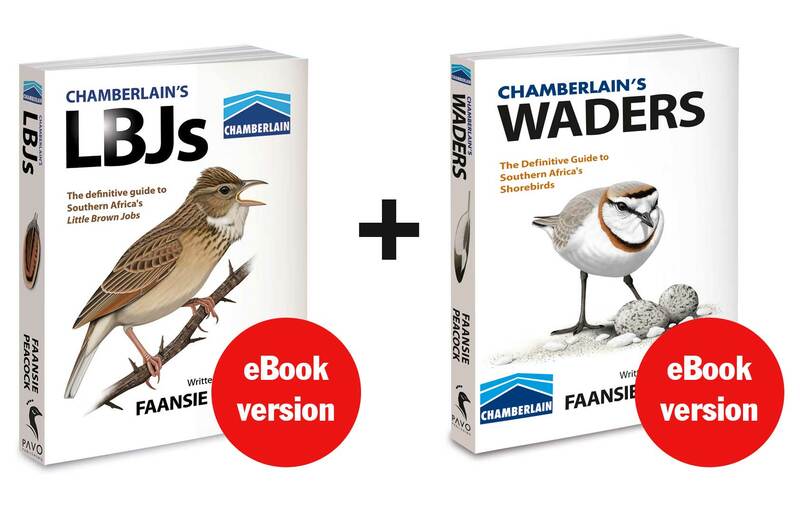 John Voelcker Bird Book Fund, Cape Town: 554–555. Johansson F, Suhling F 2004. Behaviour and growth of dragonfly larvae along a permanent to temporary water habitat gradient. Ecological Entomology 29: 196 -202. Available here. Kemp A, Kemp M 1998. Sasol Birds of Prey of Africa and its Islands. New Holland Publishers, London: 218-219. Kumar A 1984. On the life history of Pantala flavescens (Fabricius) (Libellulidae:Odonata). Annals of Entomology 2:43-50. Mebs T, Schmidt D 2006. Die Greifvögel Europas, Nordafrikas und Vorderasiens. Biologie, Kennzeichen, Bestände. Franckh-Kosmos Verlag Stuttgart: 389- 399. Mendelsohn J M 1997. In: Harrison JA, Allan DG, Underhill LG, Herremans M, Tree AJ, Parker V, Brown CJ (eds). The Atlas of Southern African Birds including Botswana, Lesotho, Namibia, South Africa, Swaziland and Zimbabwe. Vol 1. Non-passerines. BirdLife South Africa, Johannesburg: 252-253. Meyburg B-U, Howey PW, Meyburg C, Fiuczynski KD 2011. Two complete migration cycles of an adult Hobby tracked by satellite. British Birds 104: 2-15. Meyburg B-U 2013. Ein Afrikaner brütet in Europa. Ornis 4/13:16-19. Moreau RE 1938. Bird-Migration over the North-western Part of the Indian Ocean, the Red Sea, and the Mediterranean. Proceedings of the Zoological Society of London. Vol. A 108-1:1-26. DOI: 10.1111/j.1469-7998.1938.tb00017.x. Moreau RE 1972. The Palaearctic-African bird migration systems. Academic Press, London. Naoroji R 2006. Birds of Prey of the Indian Subcontinent. Om Books International, Noida, India: 588-593. Oberprieler U, Cillié B 2009. The Raptor Guide of Southern Africa. Game Parks Publishing, Pretoria:166-167. Orta J, Kirwan GM 2014. Eurasian Hobby (Falco subbuteo). In: del Hoyo J, Elliott A, Sargatal J, Christie DA, de Juana E (eds.). Handbook of the Birds of the World Alive. Lynx Edicions, Barcelona. Available here. Pepler D 1991. Diet of the Hobby Falcon Falco subbuteo in the southwestern Cape. Ostrich 62:74-75. Pepler D 1993. Diet and hunting behaviour of the European Hobby (Falco subbuteo) in Africa. In: Nicholls M K & Clarke R. Biology and Conservation of Small Falcons. Hawk and Owl Trust, London. SABAP 2. Eurasian Hobby. Available here. Safford R, Hawkins F (eds) 2013. The Birds of Africa. Vol. 8. The Malagasy region. Christopher Helm, London. 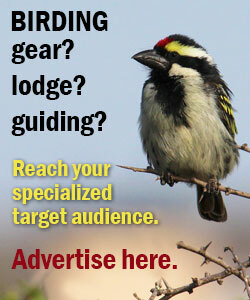 SAFRING, The South African Bird Ringing Unit. Eurasian Hobby. Available here. Saurola P, Valkama J, Velmala W 2013. The Finnish Bird Ringing Atlas. Vol. 1:368-373. Finnish Museum of Natural History and Ministry of Environment, Helsinki. Schuyl G, Tinbergen L, Tinbergen N 1936. Ethologische Beobachtungen am Baumfalken (Falco s. subbuteo L.). Journal für Ornithologie 84:387-433. Silsby J 2001. Dragonflies of the World. The National History Museum, Plymouth:180. Sinclair I, Ryan P 2003. Birds of Africa South of the Sahara. Cornelis Struik House, Capetown. Strandberg R, Klaassen RHG, Hake M, Olofsson P, Alerstam T 2009a. 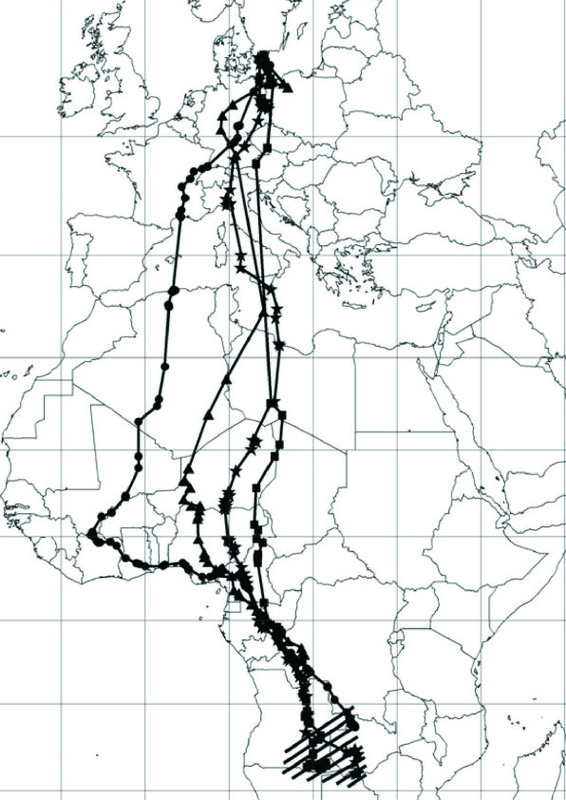 Converging migration routes of Eurasian hobbies Falco subbuteo crossing the African equatorial rain forest. Proceedings of the Royal Society B 276: 727-733. DOI: 10.1098/rspb.2008.1202. Strandberg R, Klaassen RHG, Hake M, Olofsson P, Alerstam T 2009b. Daily travel schedules of adult Eurasian Hobbys Falco subbuteo – variability in flight hours and migration speed along the route. Ardea 97:287-295. Suhling F, Schenk K, Padeffke T, Martens A 2004. 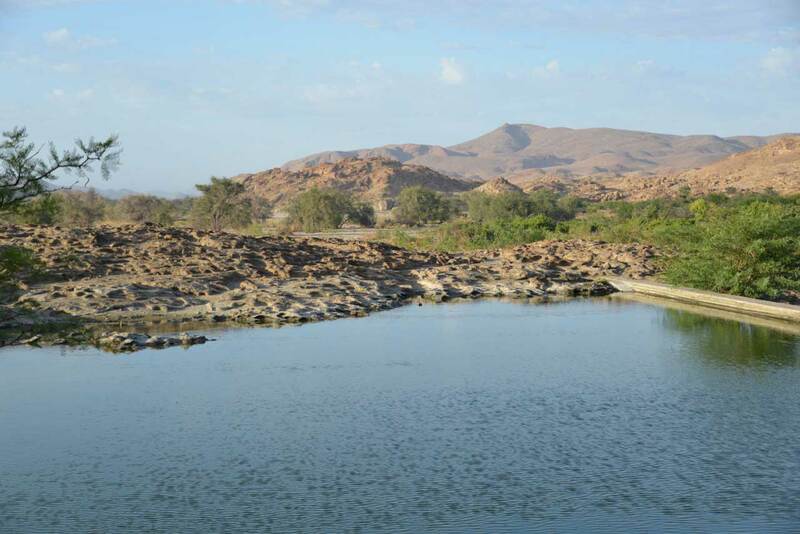 A field study of larval development in a dragonfly assemblage in African desert ponds (Odonata). Hydrobiologia. 528:75–85. Available here. Tarboton W, Tarboton M 2002. 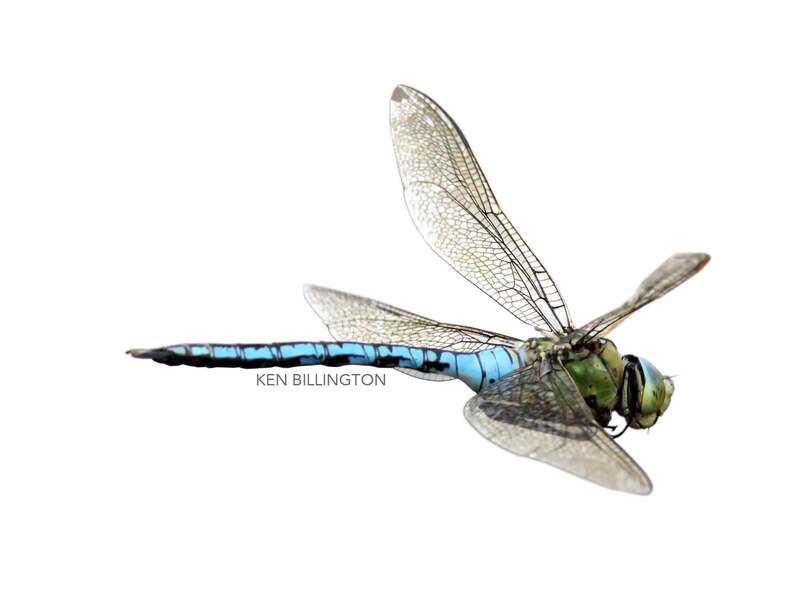 A Fieldguide to the Dragonflies of South Africa. Privately published. Nylstroom/Modimole, South Africa. Tinbergen N 1932. Beobachtungen am Baumfalken (Falco s. subbuteo). Journal für Ornithologie 80:40–50. Tinbergen N 1958. Curious Naturalists. Basic Books, New York: 82-102. Available here. Ursula Franke-Bryson found her passion in ringing birds. 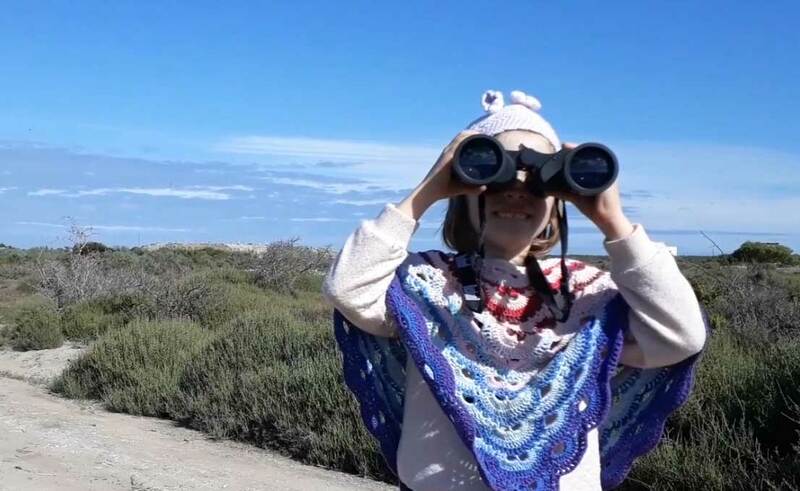 Her teachers Steven Piper and Kobie Raijmakers peaked her interest for research into birds' moult strategies. Together with her husband she is collecting data to support research on birds throughout southern Africa. Her 500th species ringed: Bar-winged Weaver. The article of Ursula Franke-Bryson on your blog would be a welcome asset to it because relatively little is known about the hobby’s where- and whatabouts in Africa. So please, is it possible for you to send me an PDF of the article? 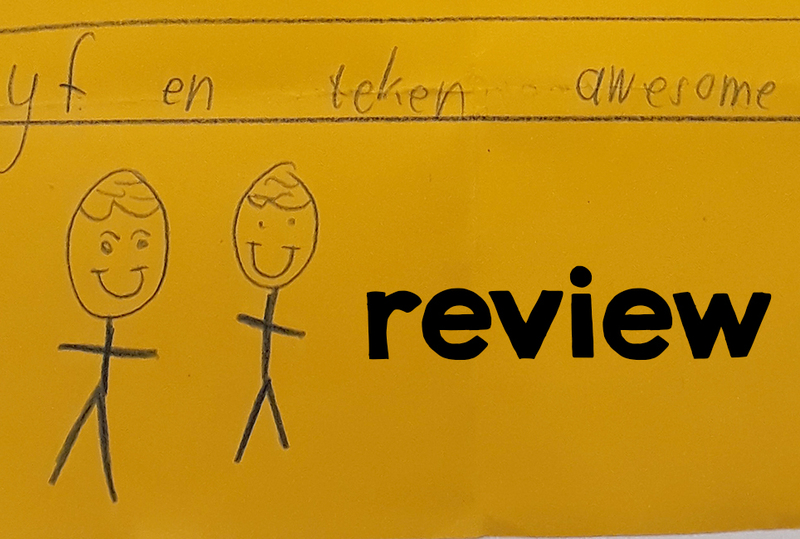 Of course your website will be mentioned as source so wille be the author’s name all according to your/her whishes..
Kind regards, Peter D. Ganzeboom, The Netherlands. Hi Peter – I sent you a pdf by email. Glad you like the article.